The US Air Force dispatched a dozen A-10 Thunderbolt II attack jets and about 300 airmen to Germany as part of a military exercise, which is expected to involve NATO allies in Eastern Europe amid simmering tensions over Ukraine. The Cold War-era aircraft, nicknamed the Warthog, on Monday departed Davis-Monthan Air Force Base in Arizona for Spangdahlem Air Base in Germany as part of Operation Atlantic Resolve. Lt. Col. Christopher Karns, a spokesman for the Air Force at the Pentagon, said the aircraft would “forward-deploy” to sites in Eastern European NATO states, where the units will participate in training with allied forces to “strengthen interoperability and…demonstrate US commitment to the security and stability of Europe," he told military.com. 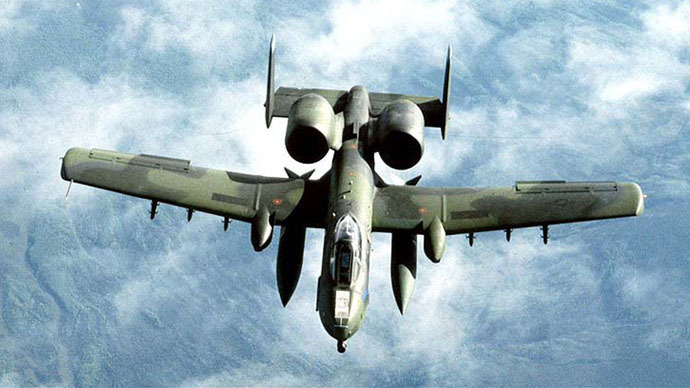 The highly reliable A-10 carries a seven-barrel GAU-8/A Avenger Gatling gun that fires 30mm rounds designed to destroy tanks and other armored combat vehicles. Russia said Tuesday that Washington’s plans to supply Kiev with weapons would further destabilize the situation in Ukraine. Western governments, without finding it necessary to substantiate their claims with physical evidence, continue to accuse Russia of supporting rebels in Eastern Ukraine blaming the crisis on Russia. Moscow has vehemently rejected the claims. At the same time, Moscow is regularly on the receiving end of criticism from Washington even when it holds military exercises on its own territory. In February of last year, as Ukraine was engulfed in chaos not far from Russia’s border, the White House expressed concern that the Russian military held drills.“[W]e are closely watching Russia’s military exercises along the Ukrainian border,” White House spokesman Jay Carney stated. 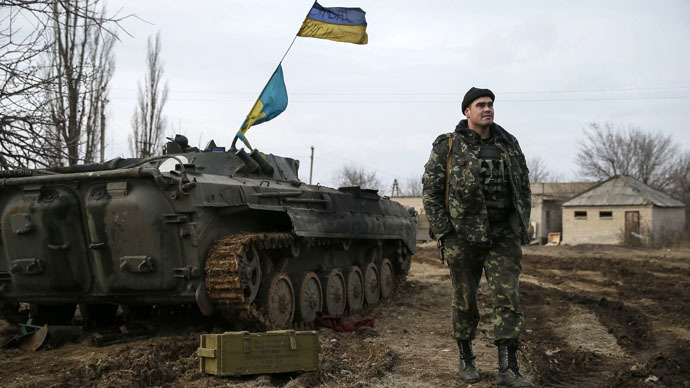 Meanwhile, Washington and Europe remain at loggerheads over the question of arms shipments to Ukraine. German Chancellor Angela Merkel told the annual Munich Security Conference on Saturday that Germany remained convinced that it would be far more productive “to focus our efforts on seeking a diplomatic solution" to the Ukrainian crisis. 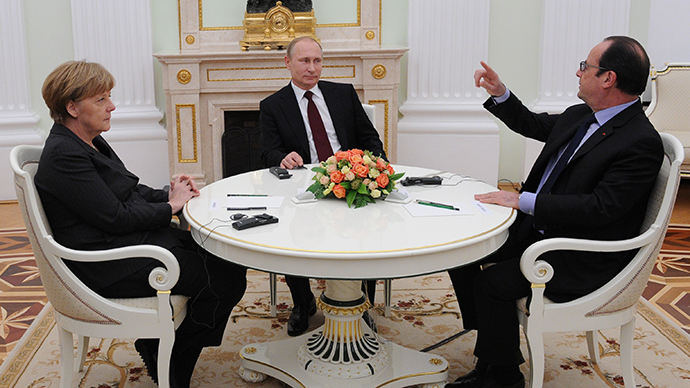 Her position is widely supported in European capitals, as well as in Moscow. 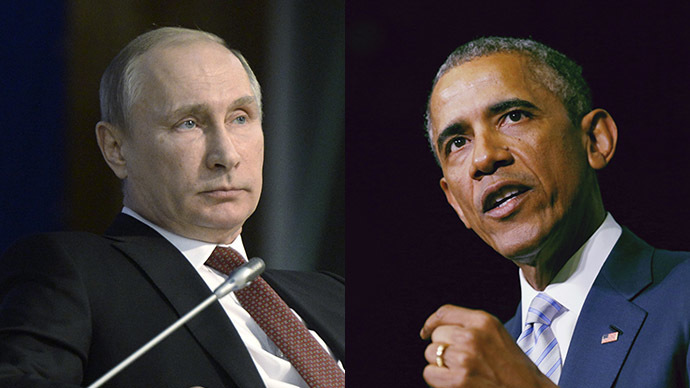 “Russia is truly interested in solving the crisis. All other plans to increase sanctions, supply arms and so on, are aimed at destabilizing the situation in Ukraine,” Kremlin spokesman Dmitry Peskov said.